Perhaps you’ve read The Bloodless Assassin or The Black Orchid (I know I told you should!). If you have, you’ll already know the main character Rory. But if you haven’t, this truly is (and believe me I’m picky about such things) a stand alone novella about Rory’s life as a young street urchin. If you’ve read the others in this series you’ll get treated to flashes of insight into what makes Rory tick and fun glimpses of supporting characters as they were years before we really “meet” them. 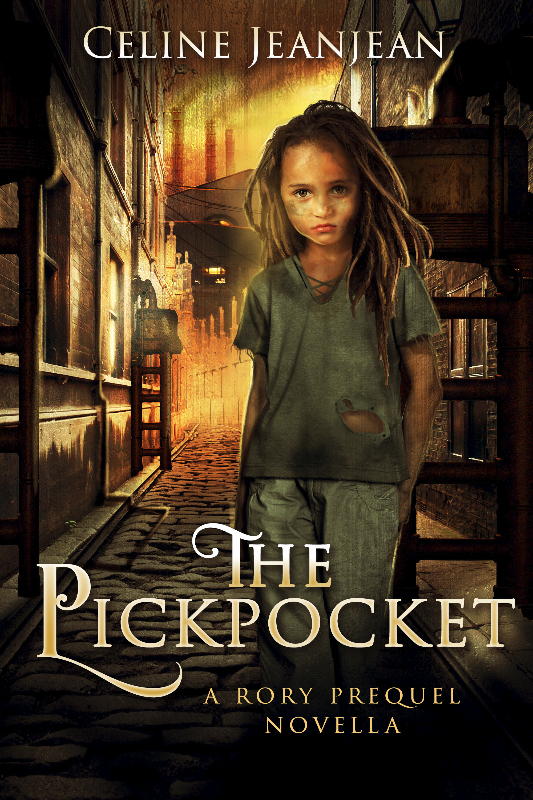 If you are a new reader you’ll be presented with a page turning story (I read it in one sitting) of a hungry street urchin turned pickpocket. Complete with loss, hard times, friendships and the character depth and growth I’m beginning to happily expect from Celine Jeanjean’s writing. And, you’ll be introduced to the city of Damsport. A city that comes with such depth and detail it gives all of the books an unbelievably firm sense of place and seems to be a character in it’s own right. Would I recommend it? Was it not yet obvious? Yes! If you haven’t been sure The Viper and Urchin is the right series for you, try this one first! It’s short, it’s minimally steampunk-y (in case that scares you off) and it’s an all around great read. Just don’t yell at me when you are downloading the rest of the series onto your e-reader in the middle of the night! This entry was posted in book review and tagged book, book review, fiction, recommended read, steampunk. Wonderful! I hope you love it too! Amazing! I love The Viper and the Urchin series and cannot wait to read this!